Coats, a leading industrial thread manufacturer, has become a strategic investor in Twine Solutions, an Israeli based technology start-up which has developed an innovative digital thread dyeing system. Coats is investing US$ 5 million for a 9.5% share in the company and a seat on the Board. Twine has created the world’s first standalone digital thread dyeing system which applies the features of small-scale digital printing to the traditional dyeing process. 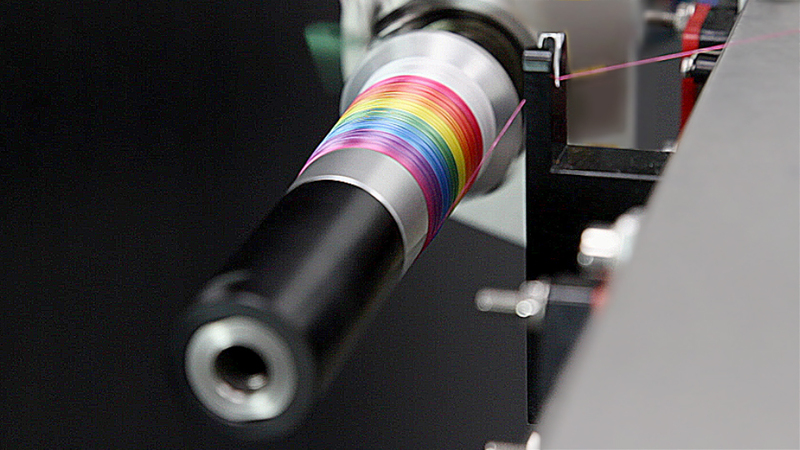 The plug and play machine dyes thread using digital printing technology and can produce any length and colour, whenever or wherever they are needed. The technology is based on waterless dyeing and will feature inbuilt colour software integrated with Coats ColourStitch. “This is an exciting and innovative strategic move. We are investing in future technology which will improve our industry and its sustainability by directly addressing the key needs of our customers: speed, innovation and sustainability. The disruptive technology has the potential to revolutionise the thread industry and Coats will work closely with Twine to commercialise this opportunity,” said Rajiv Sharma, Coats Group Chief Executive. Coats and Twine will now work together on an exclusive commercial partnership to market the technology which will be launched mid-2019. “We are bringing high tech to a low-tech industry by providing a unique solution to the most basic problem for one of the largest and oldest industries. To have the world’s leading industrial thread manufacturer as a backer brings immeasurable strength and opportunity to our offer,” commented Alon Moshe, CEO, Twine. Twine Solutions was founded in 2015 in Israel by brothers Alon and Erez Moshe who have significant digital printing expertise. It currently has 40 full time employees and is based in Petah Tikva, outside Tel Aviv, the hub of digital print innovation globally. The seat on the Twine Board will be taken by Michael Schofer, Chief Supply Chain Officer, Coats. A key part of Coats’ strategy for development and growth is to collaborate with companies with unique capabilities that can leverage off the existing Coats network. The strategic investment in Twine follows three acquisitions: Patrick Yarn Mill, a manufacturer of high performance engineered yarns, based in North Carolina, US; Gotex, a Spanish company which designs and manufactures high-tech industrial yarns and tapes used in the telecommunications, energy and oil and gas sectors; and FRS, a UK based company which provides software solutions and expertise to improve operational efficiency and speed to market in apparel and footwear.